I don’t have much of a story here, no charming childhood memory or anything, just a very good cookie. 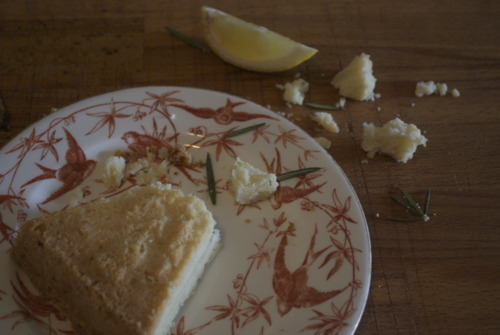 A cookie with rosemary, a hint of lemon, and a smattering of sea salt. The kind of cookie that’s not too sweet or too heavy. 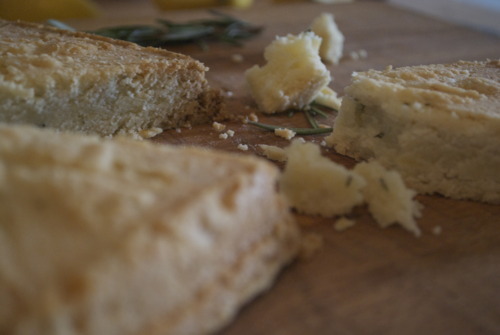 Something that is light and crumbly, and buttery and lovely. The kind of cookie that keeps for a few weeks in a sweet little vintage tin, and you can just pop them out when company comes over. Or you can eat them all in one sitting. Just saying. 2 tsp Fresh Rosemary, finely chopped. 1 tsp Fleur de Sel. 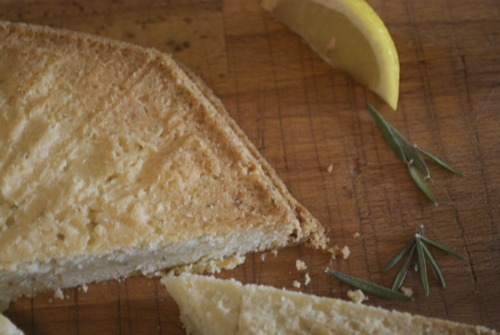 Butter an 8inch square pan or a fancy pants shortbread pan, whatever strikes your fancy. Mix together the butter and sugar- the butter has to be very soft. If it’s not soft enough put microwave it of put the butter in a double boiler. It should have the consistency of mayonaise. Add in the rosemary, lemon zest and salt. Mix in the flour until barely combined. 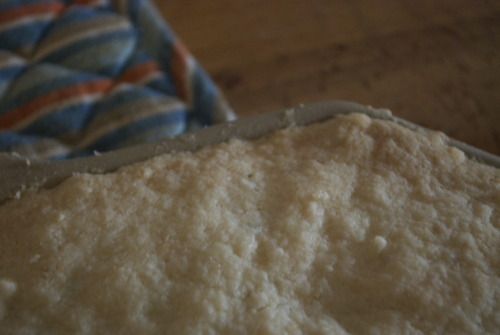 Press the mixture into the prepared pan and bake for about 20 minutes or until it’s cooked through. Take it out of the pan and immediately cut them. If you cut them while they’re cold they will crumble. Sprinkle with the fleur de sel and eat eat eat!